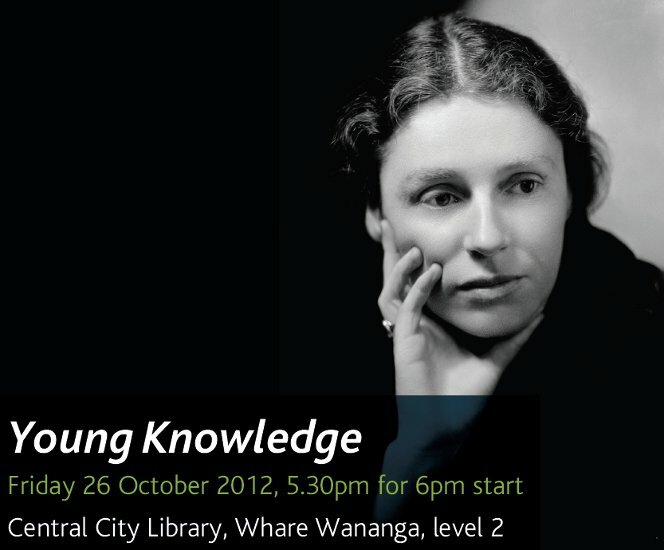 A public conversation about Robin Hyde’s poem ‘Young Knowledge’ (1936? ), with Murray Edmond, Michele Leggott, Mary Paul, Iain Sharp, and Ian Wedde. Produced for the National Library of New Zealand’s series of events in the New Zealand Poet Laureate programme, in partnership with Auckland Central Library and the New Zealand Electronic Poetry Centre (nzepc). In 1936, the poet Robin Hyde travelled in the South Island, including parts of the West Coast explored by Charles Heaphy in 1846. Hyde wrote ‘Young Knowledge’ with the journals of Heaphy in mind. Her poem opens up an imaginative and political space between the stone memorial to the explorer in Nelson, and the pounamu of Arahura. Murray Edmond is a poet, and has written about Hyde’s use of Charles Heaphy’s journal. Michele Leggott is a former New Zealand Poet Laureate, and the editor of Robin Hyde’s collected poems. Mary Paul is the editor of Your Unselfish Kindness (University of Otago Press, 2012), a critical edition of Robin Hyde’s autobiographical writings. Iain Sharp is a poet and the author of Heaphy (Auckland University Press, 2008), an illustrated biography of the explorer.